The No. 11 Maroons will travel to Salem, VA this Wednesday in preparation for their upcoming Final Four matchup with the No. 5 Messiah Falcons on Friday. The squad is the last fall sports team still playing, and it is riding high after taking down two ranked opponents in the NCAA DIII tournament thus far. 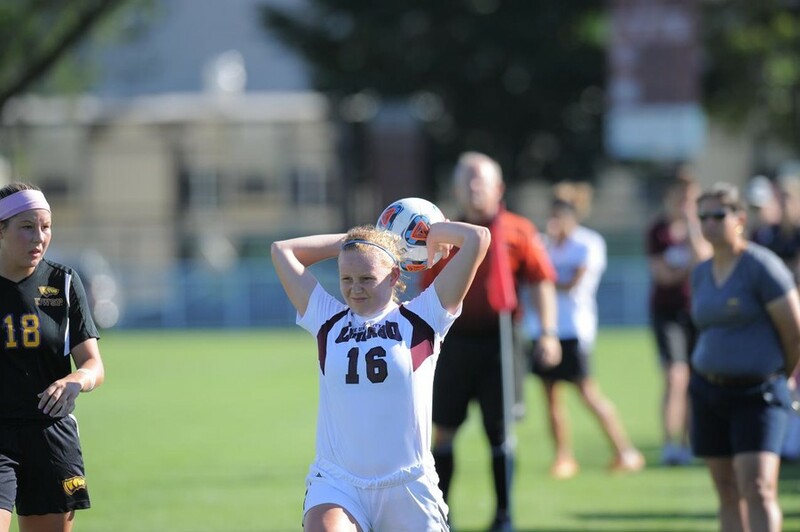 The Maroons almost saw their season end last Sunday in the Elite Eight, but a clutch goal by first-year midfielder Hanna Watkins with just minutes left in regulation to tie the score at 1­–1 took the game to double overtime and penalty kicks, where Chicago clinched a Final Four berth. The South Siders (18–3–1) will face a tough test in the Falcons (21–2–0), who have outscored their opponents 13–1 in the NCAA tournament. Their narrowest margin of victory was a 2–0 win in their second round game. They are also riding a 19-game win streak into the Final Four matchup. This will be a tough pairing for the Maroons’ defense and first-year goalkeeper Katie Donovan, who has nine shutouts on the season. The Maroons, however, have some momentum of their own. After dropping two consecutive conference matchups to Carnegie Mellon and Wash U to conclude the regular season, they have won four straight in the NCAA tournament by a combined margin of 12–2. In addition to knocking off No. 18 ranked Pomona-Pitzer, Chicago also took down No. 3 Thomas More in the Sweet Sixteen. The Maroons have also had almost an entire two weeks to prepare for their Final Four matchup with the Falcons. If the South Siders pull out the victory Friday, they will face a familiar opponent Saturday for a shot at a national championship. UAA opponents Wash U and Brandeis are battling it out on the other side of the bracket for a trip to the national championship. The Wash U Bears pulled out a 1–0 win in St. Louis against Chicago on the last day of the regular season. The Maroons faced off against Brandeis at home, beating the No. 8 Judges 2–1 on October 14. The Judges (16–3–2) have played one overtime and one double overtime contest in the NCAA tournament, scraping by to the Final Four by a combined 9–4 score. They turned around a slide at the end of the regular season that saw them go 1–3–2 over their final six games. The Bears (17–2–3) have had a much smoother ride into the Final Four. They have won their tournament games with a combined 7–0, with one contest going into penalty kicks. Wash U finished the regular season 7–0–1 over their final eight games. The Maroons play in Salem this Friday, December 2 at 5 p.m. against the No. 5 Messiah Falcons. If they win, the South Siders will turn around and play the winner of Wash U and Brandeis at 5:30 p.m. on Saturday, December 3 for the national championship.